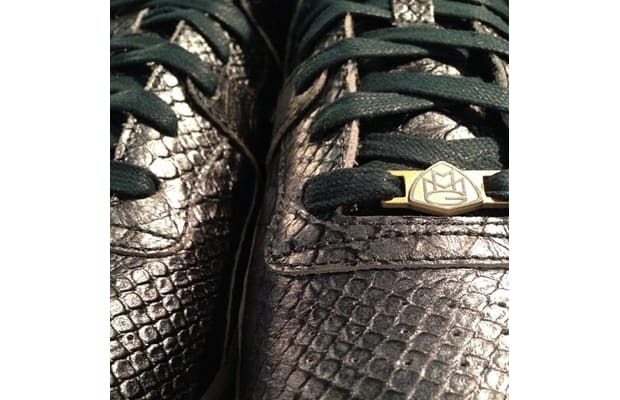 Looks like Rick Ross and his MMG crew might be the next rappers in line to earn a sneaker collaboration. Rozay took to his Instagram this morning to show off a closeup preview of Reebok Workout sneakers covered in snakeskin with an MMG lace jewel. No official word yet on this possible collaboration sneaker with Reebok, but let&apos;s hope Rick Ross keeps sharing previews because that snakeskin is looking tough. RUH!